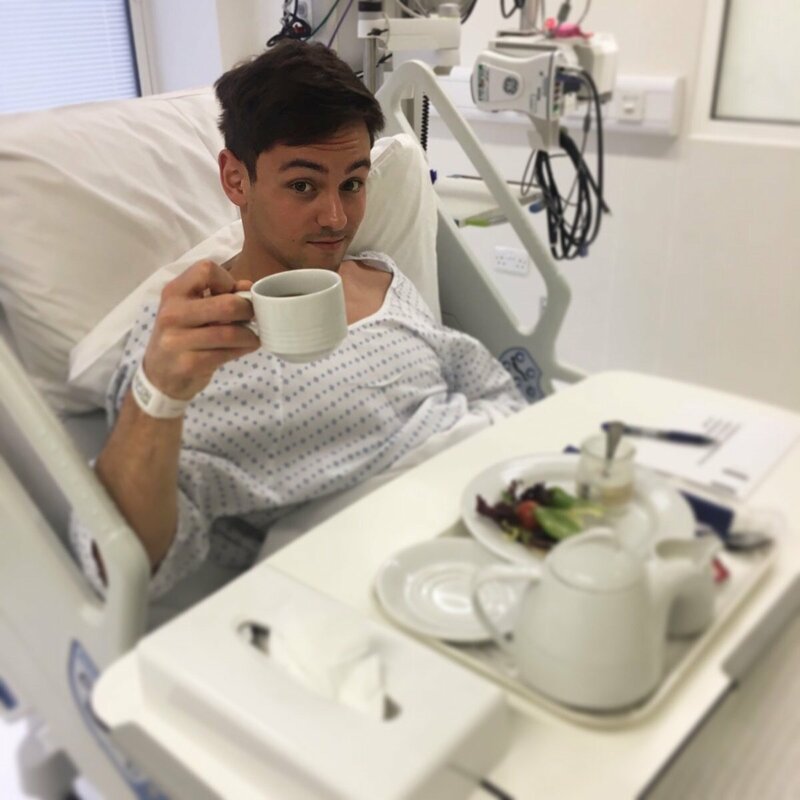 Tom Daley is in hospital ahead of his wedding to Dustin Lance Black this weekend. However, the 22-year-old appeared in good spirits as he held a cup to the camera and vowed to be "Back on the board soon." He later tweeted that his hips "needed some help" in reply to a concerned fan. He is set to walk down the aisle with Hollywood film producer Lance Black, 42, on Sunday.